Play All Day at La-De-Da! 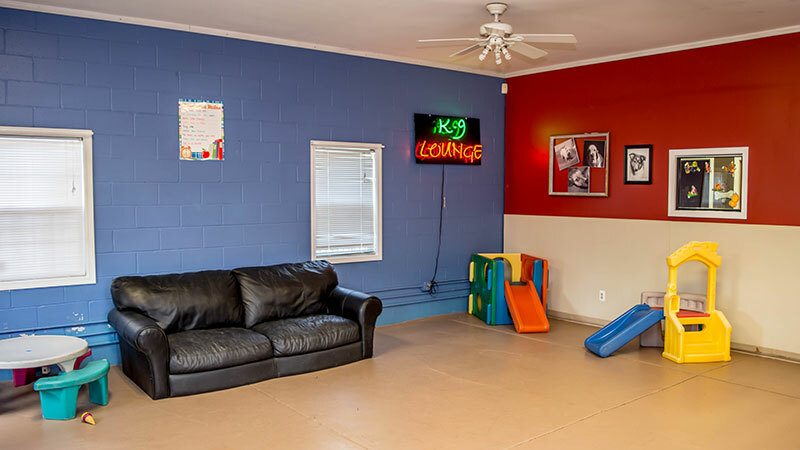 All of our dog day care pups play together in the K-9 Lounge or the La-De-Da Park. We allow toys and have obstacles for the dogs to play on. 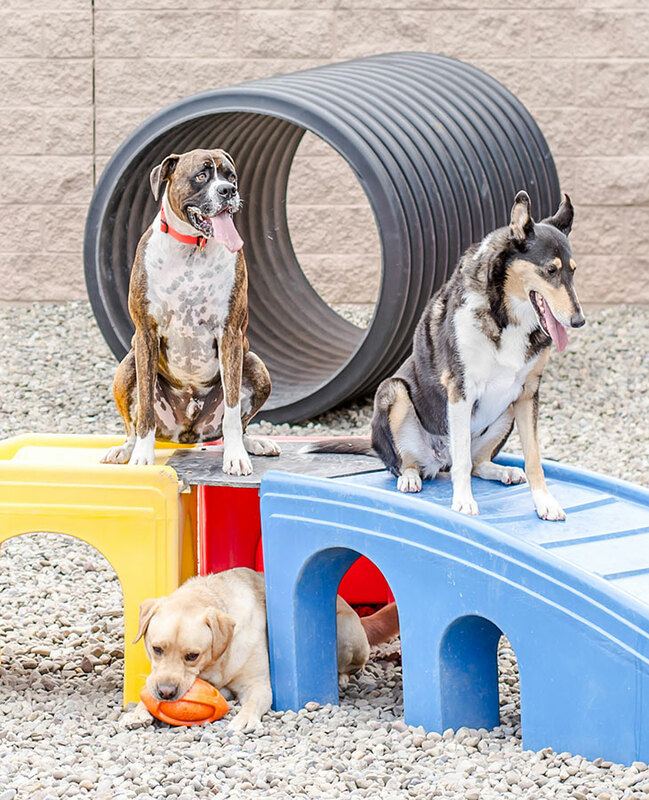 Our day care staff interacts with the pack and will throw the ball, play tug of war or just cuddle your fur baby! 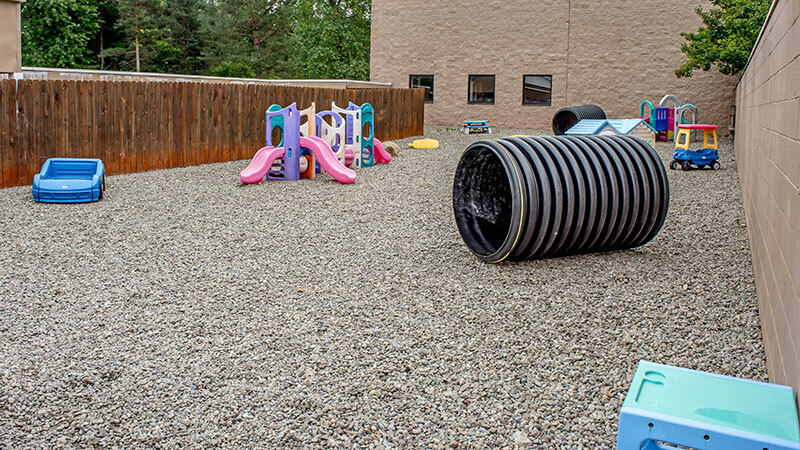 Evaluations for Day Care are conducted Saturdays from 8am-3pm. Call to reserve your time. A non-refundable Enrollment Fee of $25.00 is required. Please complete a Pet Profile Form and bring it with you on the day of the assessment. Vaccine records can be emailed or brought in at least 72 hours prior to arrival. 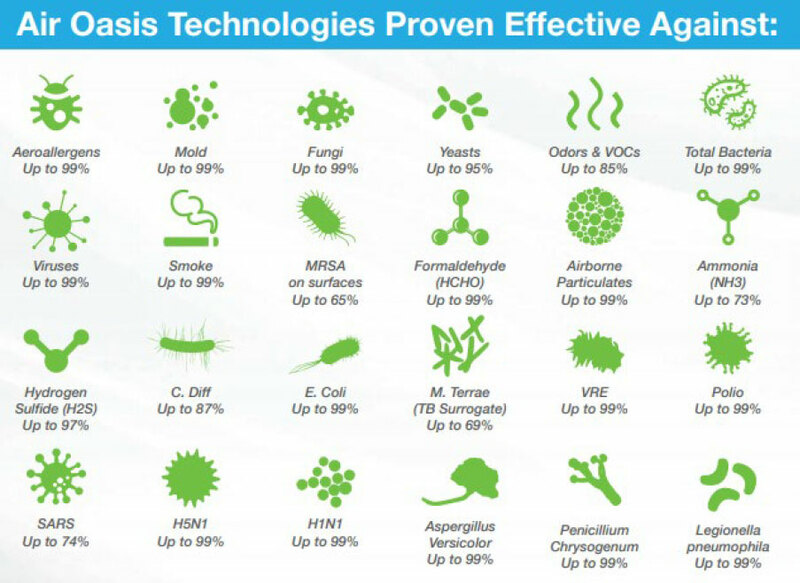 If your pet is past due on vaccines, La-De-Da Spa LLC, has the right to refuse services. Spa Memberships offer valuable savings on all La-De-Da services! Special discount coupons emailed through out the year! * Discount can not be used in combination with 10% grooming pre-book discount. Let us help give your dog the exercise, attention and love they crave! 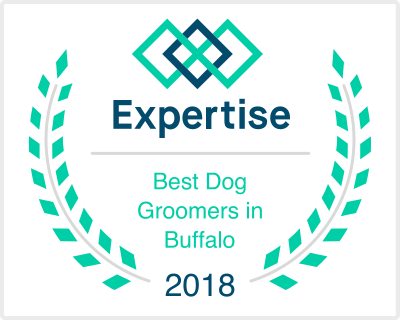 Our dog daycare, in Orchard Park NY, offers pets a safe, clean, loving environment to play with human and doggie friends and get the exercise they require. 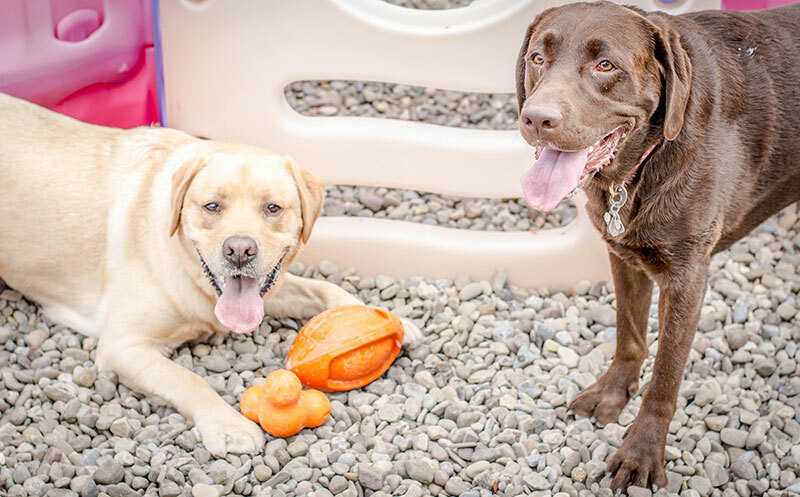 After a long day of work and a fun day at play, you and your dog will both be ready to go home and relax together. 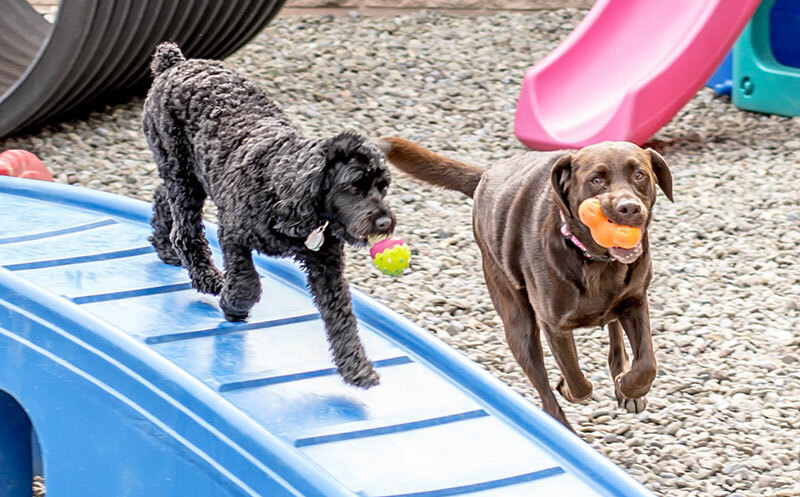 Clean, spacious 3000 square foot outdoor dog daycare exercise area for all-season recreational fun! My puppy has a ball every day – running and playing. I love that he is socialized as well as supervised the whole time. He loves it, and I love all the exercise and attention he gets while I am at work. It truly feels like they love and care for my dogs, almost as much as I do. The proof is that at the end of the day, when I pick them up, one of my dogs almost has to be dragged out, she is so happy there. I love to see all of the girls at La-De-Da. They treat me so well. 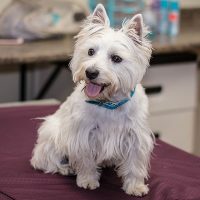 Whether it is grooming, playing or just getting some TLC, the girls at La-De-Da really take special care of me.